Vajra Vidya Portland is a Tibetan Buddhist meditation center in Portland, Maine, offering programs for beginning meditators as well as continuing practitioners. We are under the direction of the Venerable Khenchen Thrangu Rinpoche, an eminent meditation master and scholar in the Karma Kagyu lineage of Tibetan Buddhism. 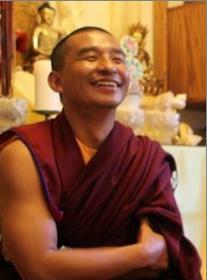 Thrangu Rinpoche established Vajra Vidya Portland when he first came to Maine in 1996; he returned annually to lead retreats for many years. Now we are fortunate to host his senior lamas from Asia and North America for meditation programs and empowerments. In addition to retreats and other special events, V.V.P offers introductory meditation classes, weekly study and practice groups, and open sitting opportunities. Check out our programs and special events, then call or email. We’d love to welcome you to Vajra Vidya Portland. Click here to learn about Khenpo Jigme’s teachings in May, 2019!